Alkkemist Gin is a popular Craft Gin available from 31dover.com in 70cl to buy online. Visit 31dover.com for the best price for 70cl of Alkkemist Gin or compare prices on our other Craft Gin products. Floral, fleshy, grape and fruit memories. Virgin coast scented. Complex and soft, white and bright. Alkkemist - The light of a discovery. The first gin made with Samphire and Muscat grape. Art, inspiration, creation... and a halo of immortality. Alkkemist Gin is distilled when the influence of the moon is bigger: 12 times a year; a strict methodology to produce an Ultra Premium quality gin. Alkkemist Gin is born on a base of grain alcohol 3 times distilled. It is made in traditional copper alembics, with a quadruple distillation from which i only the heart of each distillation is extracted to obtain a pure mixture that guarantees the perfect fusion between grain and a formidable selection of 21 botanicals carefully selected. Alkkemist Gin is the first gin that uses Muscat grape in its making, selected from the best strains in the Mediterranean, being added at the end of the process to provide an exquisite and exclusive scent. 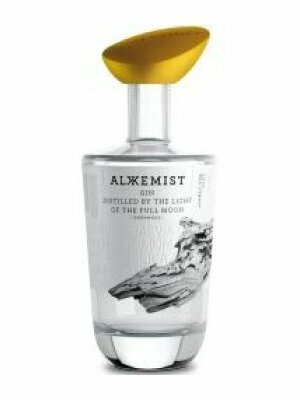 Where to buy Alkkemist Gin ? Alkkemist Gin Supermarkets & Stockists. You can buy Alkkemist Gin online in most retailers and find it in the Craft Gin aisle in supermarkets but we found the best deals online for Alkkemist Gin in 31dover.com, DrinkSupermarket.com, Amazon.co.uk, TheDrinkShop, and others. Compare the current price of Alkkemist Gin in 70cl size in the table of offers below. Simply click on the button to order Alkkemist Gin online now.